Episode 2 featuring Ashe is ready for your listening pleasure… You’ll find the show notes/ highlights below! Ashe’s official soundcloud page includes all the tracks from Hanz’s rundown. Ashe isn’t sure which genre his music fits into but it’s somewhere in the melodic techno area, or a combination of Techno/ Progressive/ mau5trap. Random Album Title by deadmau5 was the album that inspired Ashe to get into EDM production but he generally avoids listening to too much EDM because he finds himself tempted to copy the style. That said he listens to a lot from the microcastle lable, as well as (of course) mau5trap. When not producing, Ashe mainly listens to hip-hop (currently Token and early Eminem, which he missed first time around). He also recommends Neutral Milk Hotel, particularly their album “In the Aeroplane Over the Sea”. If he could give a message to an earlier version of himself it would be… “invest in Bitcoin”. That and “watch tutorials” - he started doing that later on and found it really accelerated his production skills. Ashe finds it most productive to work in coffee shops. The constant movement helps him to focus … also being in public view helps force him to work! Ashe doesn’t use any hardware at the moment and uses only soft-synths. He uses Monark, from Native Instruments because he likes the real “analogue” feel it gives his synths. He also use Sylenth for its stock arepggiation capabilities, which he uses to animate pads. His DAW of choice is Logic. In general, Ashe tries to use a lot of different plugins to help him approach each track in a fresh way. Ashe’s dream equipment is mainly “the best computer possible” but he’s like to get into the modular world and is thinking of a Korg Minilogue in future to dip a toe into that world. 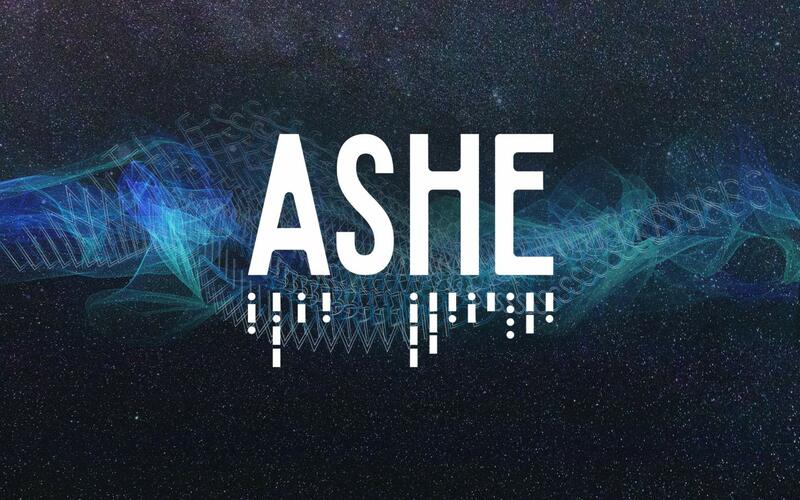 When approaching remixes, Ashe aims to recreate the melodies in his own style to try and avoid ending up with a “rearrangement”. If there are vocals, he will keep those, otherwise he will tear the track apart and create something fresh. Ashe found Vocalizr helpful when he needed vocals for his track Space Between (ft. Amy Kirkpatrick). It’s cost effective and he was very happy with the results. He built a spreadsheet of labels that captures who is looking for what music and this helped him understand the market and make a lot of great connections. Ensure when you’re sending an EP you have “the whole package covered”: an EP with PR wording; tailor everything to the label and person you’re targetting; include a decent bio that helps them understand who you are and what you do. Try not to bug people. Being profressional (following all of the above) is what helps you stand out. The track came out of listening to a lot of Robert Oaks and other “proper” melodic techno producers. Ashe really wanted to recreate that ethereal but hard-hitting techno sound. Ashe finished the track really quickly in about two full Sundays. He sent the track unfinished to deadmau5 for feedback, as a private link, expecting he’d have time to tidy up after. He was lucky that deadmau5 skipped over the unfinished parts but he liked it so much he reposted it as is, which requiring some frantic clean-up behind the scenes! The track uses a lot of foley sounds from Splice but Ashe is looking to record his own sounds in future. Splice was a real game-changer for Ashe: he takes little pieces that catch his ear, from a large range of different sounds and uses them to build his own unique loops. The breakdown of the song demonstrates Ashe’s beautiful ambient, pad-based breakdown style. He starts with a preset that gets most of what he wants and then goes from there. His pads use subtle pitch modulation (see Sylenth, above) to give a sense of movement. He also uses Kontakt’s “The Giant” piano to provide bass warmth. For the mixing stage, as with all his tracks, Ashe focused on removing offending frequencies (e.g. low-end on hi-hats), rather than amplifying desirable ones. He sees this as the goal of mixing and wants the mix to sound as much like a master as possible. Ashe also applies subtle use of LFO Tool to help the kick stand out and uses panning to place sounds in the stereo field. To master the track, Ashe passed everything through subtle compression and expansion before applying iZotope’s Ozone 6. He sees Ozone as a bit of a “cheat” but the results are great, so he uses it anyway. He also always places a limiter at the end to avoid any clipping. Ashe has never used multi-band compression for mastering - his way works for him, so he hasn’t tried to change it.